Phil is cool calm and collected, just what you need in a driving instructor! Phil is encouraging and supportive making your whole learning to drive experience an easy one! Three words to describe me: Reliable, friendly, easy-going. If I won the Lottery I would… Teach people to drive in my new Audi R8! 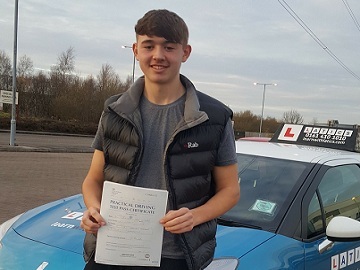 Phil gives driving lessons in Audenshaw, Ashton-under-Lyne, Denton, Didsbury, Droylsden, Dukinfield, Failsworth, Gorton, Hyde, Longsight, Stalybridge, Stockport and Withington. “Phil is a very laid back, professional, down to earth driving instructor. He has excellent methods of explaining how to do/approach different situations on the road, if you get anything wrong during your lessons he will make sure you get it perfect before he moves onto anything else. “Phil is a fantastic driving instructor who is very relaxed, friendly, polite and extremely good at his job. He helped me pass first time with an intensive driving course without any previous lessons. Despite the horrible snow during my intensive driving course (7 hours a day driving) he didn’t cancel my lessons and teach me to be afraid of driving in the snow. Instead he showed me how to drive in the snow safely and under complete control. “I would just like to say a big Thank You to Phil who was my driving instructor on my intensive driving course. Phil is so professional, down to Earth and easy to talk to in the car. What I liked the best was even when I didn’t understand something Phil would go above and beyond to show me or explain how in a different way. Making sure that I fully comprehend the manoeuvre and the mechanics of the car. “What Can I say? The man is a genius!!! He made me feel like Lewis Hamilton behind the wheel (a safe and aware version of course). I chose to do the block booking with Phil and I’m glad I did. Phil made me feel at ease from the minute I stepped in the car right up until the morning of my test. No matter what level you think you’re at to begin with, he will certainly get you to a standard by which it is possible to pass with ease. 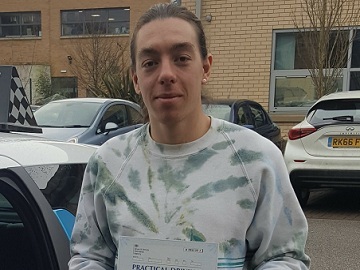 I passed first time with 3 minors and I could not have done it without him. 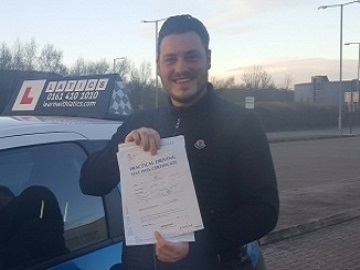 “I am so happy that I chose Latics Driver Training for my lessons. 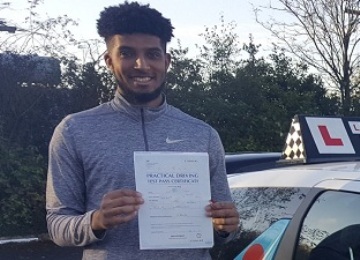 My instructor Phil McLean was incredibly supportive and professional, helping me to pass my test the first time and teaching me to be a very safe and confident driver. Thank you so much for your help and I will recommend you to everyone. Phil is very encouraging and always lets you know when you’re doing good! Phil McLean is an Amazing Instructor! I passed my test first time and I couldn’t have done it without Phil! Brill 1st time pass Crystal! 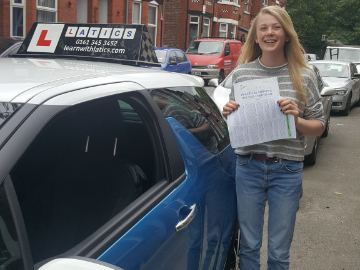 Brilliant 1st time pass Ella! 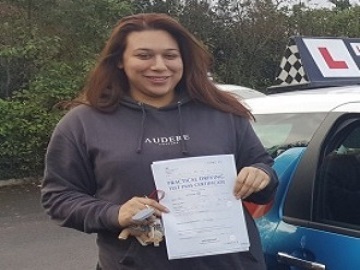 Fab 1st time pass Alice! Great 1st time pass Jenny! Great 1st time pass Ryan! Fab 1st time pass Mike! Great 1st time pass Kelly!